Glenn Greenwald sees a contradiction in the U.S. government’s definition of terrorist. On the one hand, the FBI doesn’t consider Dylann Roof, the racist shooter who killed worshipers at a Charleston AME church, a “domestic terrorist”; on the other hand, it has arrested two animal rights activists, Joseph Buddenberg and Nicole Kassane, on the domestic terrorism charge that Roof has so far evaded. The two activists were arrested just before the start of the Animal Rights National Conference. 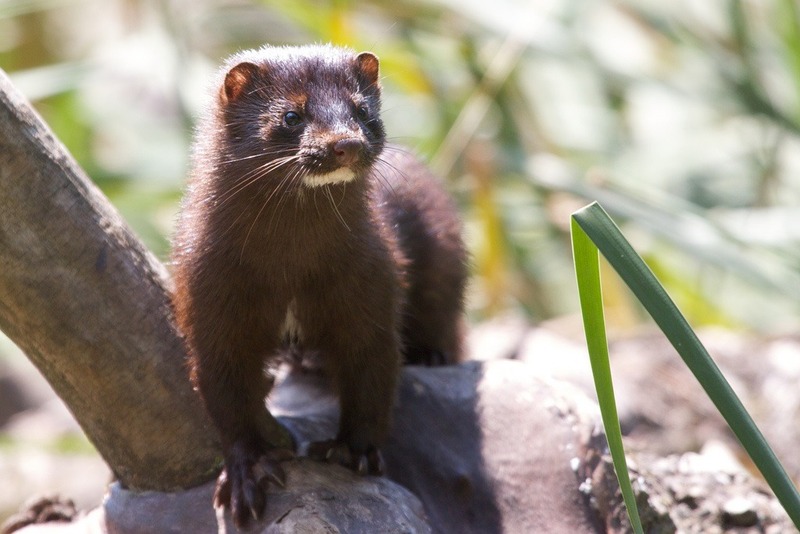 Their purported domestic terrorism involved freeing minks and foxes from a fur farm. “American elites are typically willing to tolerate political protest as long as it remains constrained, controlled, and fundamentally respectful of the rules imposed by institutions of authority—i.e., as long as it remains neutered and impotent. When protest movements adhere to those constraints, they are not only often ineffective, but more so, they can unwittingly serve as a false testament to the freedom of the political process and the generosity of its rulers (they let us speak out: see, we’re free!). That kind of marginal, modest ‘protest’ often ends up strengthening the process it believes it is subverting. Toward that end, Buddenberg and Kassane were charged under the Animal Enterprise Terrorism Act (AETA), a law enacted in 2006 supported by the agriculture, pharmaceutical, and farming industries. Greenwald says that the American Legislative Exchange Council with pro-corporate, free market groups such as the Animal Enterprise Protection Coalition and the Center for Consumer Freedom led the drafting of the law. It is quite a contrast. Roof’s alleged killing of nine African Americans in a Charleston church doesn’t get classified as terrorism. The vandalism allegedly perpetrated by Buddenberg and Kassane, involving paint, paint stripper, something like super-glue, muriatic acid, and butryric acid on the Furs by Graf store, a retail furrier in San Diego, gets classified as terrorism, not simply in the FBI’s public language but under the law covered by AETA. Does it matter if Roof is or isn’t called a terrorist? It’s hard to say, but characterizing two animal rights activists as terrorists for engaging in storefront vandalism does have an impact. It could intimidate activists from other similar direct actions. It could sway juries to be more negative toward animal rights “terrorists” than they would be toward animal rights “vandals.” It could deter some of the support of liberals for animal rights activists whose free speech actions get demonized as terrorism. Everyone agrees that there’s no shortage of anger in America, but the pipe bomb scare reflects an atmosphere of virulent but rote hatred that should scare anyone concerned about democracy.